Cait's Cozy Corner : Spring Into Spring Cleaning In Just 5 Minutes! 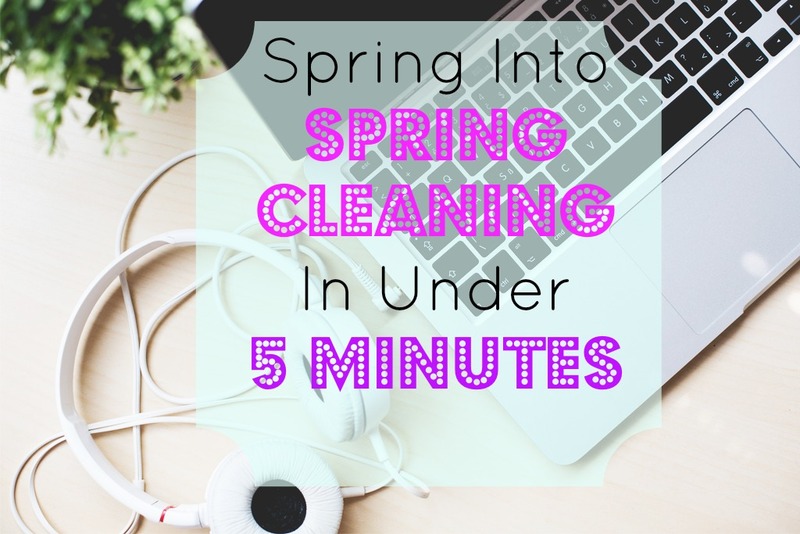 Spring Into Spring Cleaning In Just 5 Minutes! Thee is nothing I love more than Spring. I love the spring air, the scent of sweet flowers ( even if it's Febreze, that stuff is amazing ) or freshly mowed grass. Did you know that down here in Georgia, we've already been in the spring mood with temperatures reaching in the upper 70's the last few days? I'm just itching for this warmer weather to get here full time. Of course some of the downsides of getting in the spring mode, is cleaning. Moving into our new home last October, Zach and I tried to clean our house as much as possible but we're going to be taking it to a new level with company coming here in the next few weeks. We realize our house really does need a deep clean that it's been deserving. Our dust is out of control, making me nervous with asbestos that can creep up, especially with not dusting as much as we should. We even bought a purifier for Lily's room as she's been having bad coughing fits at night and a constant runny nose when she gets home. We even make sure were cleaning with as many toxin free products as possible so were not breathing it in. I think it's really important to check things before you start your spring cleaning too! Asbestos for instance can be extremely harmful if disturbed. They can be found in pips, furnaces and tiling! Exposure to it can result in mesothelioma which is an aggressive cancer that forms on the linings of your lungs. Make sure to take a couple of minutes to check your home in order to keep you and your family safe. There are so many great benefits to spring cleaning too. Helping with allergies for Lily and Zach is my number one goal like disinfecting the house to help get rid of germs and viruses. For me, cleaning has always been something that has helped my anxiety or when I'm feeling anxious and stressed about something. You can burn calories just by running up and down the stairs to bring boxes of junk to throw away. 1. 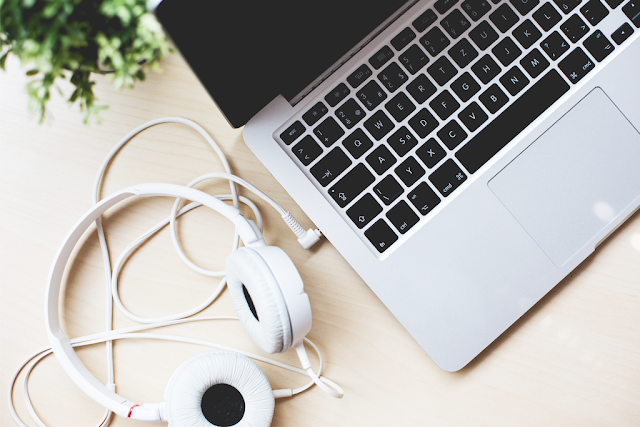 Make a Spring Playlist. With so many great new songs coming on the radio, we both love listening to music that keeps us moving and groovin' if you know what I mean. I created a fun play list that has upbeat music, old college songs we would dance and sing to, and new songs that keep our feet moving! Having a play list just keeps you wanting to sing along ( and it's okay to break out in a few dance moves now and then ) but just make sure to take that mop and broom with you too! 2. Open the Windows. We have a lot of windows in our house, which is one of the reasons why we loved all the natural light, but that can take a bit of time to do. We each took either the top or downstairs and went around to open them all up. It took maybe a few minutes since some of them were jammed, but the results were incredible. A warm breeze filling the air was exactly the fresh start we needed. 3. Get The Kids Out Of The House. In my case, it can be difficult to just have my toddler out the house to play with friends, but if you have older kids they could always play in the backyard or ride their bikes. Zach is always helpful and takes Lily to the park since I tend to get a little crazy when I clean ha! Other times if it's not possible, she has a play vacuum she uses to help out. Girlfriend loves to help out! 4. Make a Fresh Start List. Just like the play list ( hey I like to make lists especially pretty ones from SimplyKierste ) writing down what you want to get done this seasons is key. Maybe you want to go room by room and de-clutter or organize items. Maybe you need to throw out those old couches you never use, or sort through clothes that don't fit. Maybe you just need to tackle that junk drawer. Whatever the list, it'll help give you the fresh start you need and the less clutter you have, the more time you aren't sifting through looking for something and can spend it with your friends and family outside! There you have it friends. 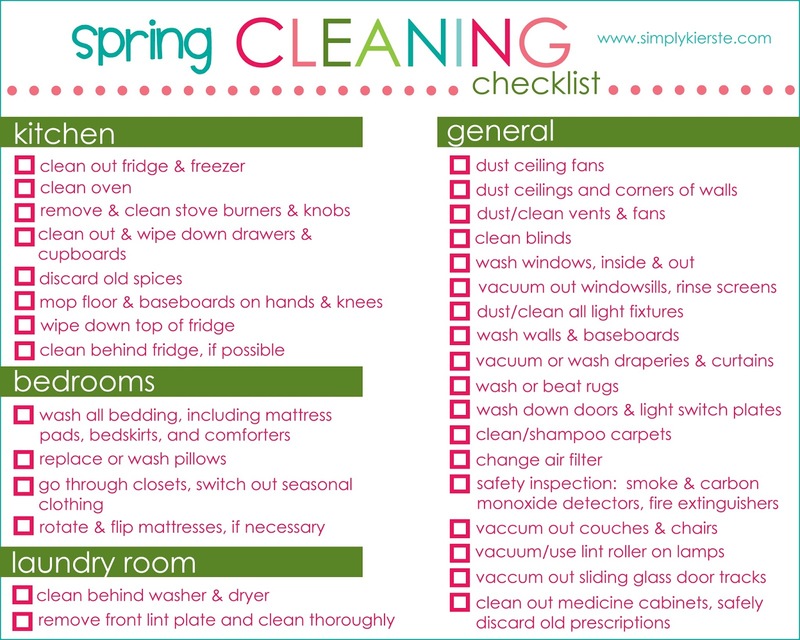 Simple and easy steps to get yourself excited for spring, tackle your to do lists and get have your house smelling fresh and clean again! What do you do to get your house ready for spring cleaning? Makes me want to start now, I agree you must get the kids out the house first before doing all that cleaning, I feel like the kids make a mess in the process and that can be very overwhelming lol. Opening the windows is always my number one thing to do while cleaning, something about having fresh air come in that always put you in a good mood. I desperately need to clean out my fridge and freezer! Maybe I will put that on my to do next month! I need to do some major spring cleaning once the weather warms up. I'm reading the Kon-Mari book right now, and although it's supposed to be a life hack, I find that her advice of tackling the whole house at once and saving a day for cleaning to be overwhelming. I definitely would need an awesome playlist and a checklist to get me in the mood for that kind of overhaul.